3-storey townhouses, 4+1+1 rooms. Located in a quiet suburban Singapore, 15-min walk to Yio Chu Kang or take a feeder bus. Land area from 1615, 1715, 1842 to 2153 (corner) & 4251 sq ft (corner). Built-in areas are around 3000 sq ft.
Suits expats with big dogs and children. Middle-class neighbourhood with the majority Singaporeans. Not a Caucasian enclave. 7-minute drive to The American School. 15-minute drive to downtown Orchard Road. 1. If they rent units with "one room locked", they are violating Singapore Government regulations if the Owner does NOT reside in the apartment. HDB officials may be knocking at your doors, usually in the evenings if there are complaints of illegal subletting. living abroad or have to live and work in their shop houses or look after ill parents by living in the parent's residence. It may be better to rent a private apartment. Rents have dropped to as low as S$1,200 for older private apartments. Contact judy@asiahomes.com for details. 3. The HDB system is that foreigners can rent HDB bedrooms, not the whole apartment if the Owner does not have official approval. In this situation, the Owner must be sharing the apartment with the tenants or landlords. Most foreigners, especially newly married, don't like this arrangement. Therefore, the Owner "locks one room" to show the HDB official that he is only subletting the one or 2 bedrooms and this is perfectly legal if the Owner really lives in the apartment. Some Owners do go back a few times a week but most don't. The HDB has publicised in the newspapers some years ago that they do not recognise the "locked one room". However, it will need private investigators and surveillance to prove that the Owners have sub-letted the whole apartment. Realtors had had been warned by the HDB officials, the biggest Landlord in Singapore that their licences will be revoked if they are involved. Nowadays, the wordings "locked one room" no longer is advertised. 3.1 Complaints from neighbours to the HDB. Most Singaporeans don't do that unless the illegal Tenant of the apartment is a nuisance. 3.2 Tenants renting the "locked one room" opens a utilities account in Tenant's name. 3.3 The rent for the "locked one room" apartment is higher than if one room is sublet. 3.4 The penalty is the loss of the apartment and this had happened before. 3.5 Many foreigners will rather not be involved in breaking Singapore law and since the rent of private properties have dropped by at least 30% in most cases, the tendency is to rent private housing. They are worried that they may lose their employment passes or work permits by participating in illegal subletting. However, HDB apartments are still much cheaper to many expatriates and are value-for-money. Some of the 3-bedroom and maisonettes are really spacious and there are so many amenities, markets and shops within the neighbourhood. 3.6 Some Caucasian wives dislike being the only foreigner in HDB neighbourhood and have heard of horror stories of urine smell inside elevators. The majority of HDB elevators nowadays do not have urine smell. 3.7 It is very risky for HDB owners, especially older folks and children, to lift a long bamboo pole of wet clothing out of the HDB kitchen window and then swing it and pull it back to fit it into the pole holder. One may over-stretch and fall down the apartment block. It is hoped that the new generation of HDB architects may resolve this problem of having to hang clothing on bamboo poles but this is the cheapest method of drying clothes, using sunlight. 3.8 It is better to rent the newer units, less than 5 years old. 1. Since Jan 1, 2003, an owner who is NOT receiving an HDB subsidy or loan for his HDB apartment, has lived for at least 10 YEARS in a flat bought on the RESALE market can lease out the whole unit. Around 15,000 HDB owners are eligible to lease out their entire units under this scheme but very few do so. living abroad or have to live and work in their shop houses or look after ill parents by living in the parent's residence. 3. There are around 738,000 HDB flats at end of Dec 2002. 4. A single HDB bedroom rents around $200. A 3-bedroom HDB flat rents around $1,000 - $1,500 depending on size, location and quality. There are around 783,000 HDB flats at end 2002. HDB owners can rent out their apartments even though they have received an HDB subsidy or loan for his HDB apartment. It is best to phone the HDB or consult your housing agent as regards the latest ruling. HDB charges a fee, around $20, to approve the leasing of the whole HDB apartment as well as informing the Comptroller of Property Tax. HDB owners can rent out their apartments with HDB approval. Best is to get professional advice from the housing agent or go to the HDB to get the latest ruling in 2011. Our housing agents manage HDB and other condos for absentee owners. 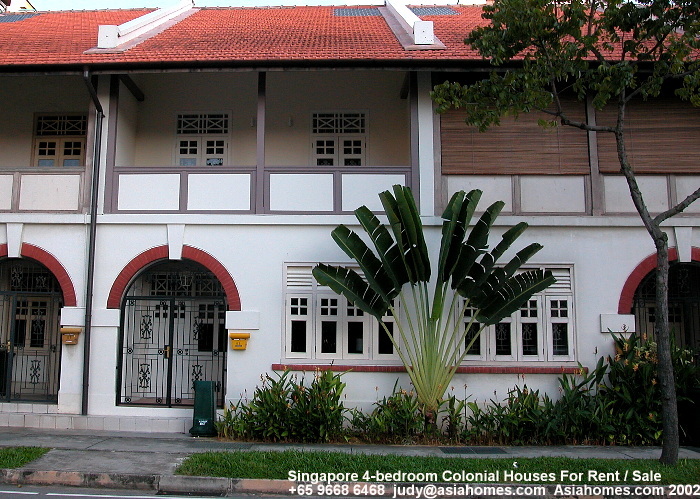 Many Singaporeans have to work overseas and will need a housing agent to professionally manage their apartments especially in monthly checks for illegal occupants, attending to queries from the government authorities, collection of rentals, advertising for tenants and making sure the apartment is well maintained and providing a monthly e-mail report to the owners. Our management fees start from S$150 per month and may be up to S$300. This fee includes monthly inspection and check on illegal occupants and an e-mail report to the owners. An exclusive management and marketing agreement is required. Minor repairs and advertisements for rental at least once per week are payable in advance by the owner. Additional apartment or house visits are charged at S$30 per visit. We try to minimise expenses for the absentee owners. Owners are advised to use their own contractors for minor repairs. Do contact judy@asiahomes.com if you need rental housing or rental housing management.